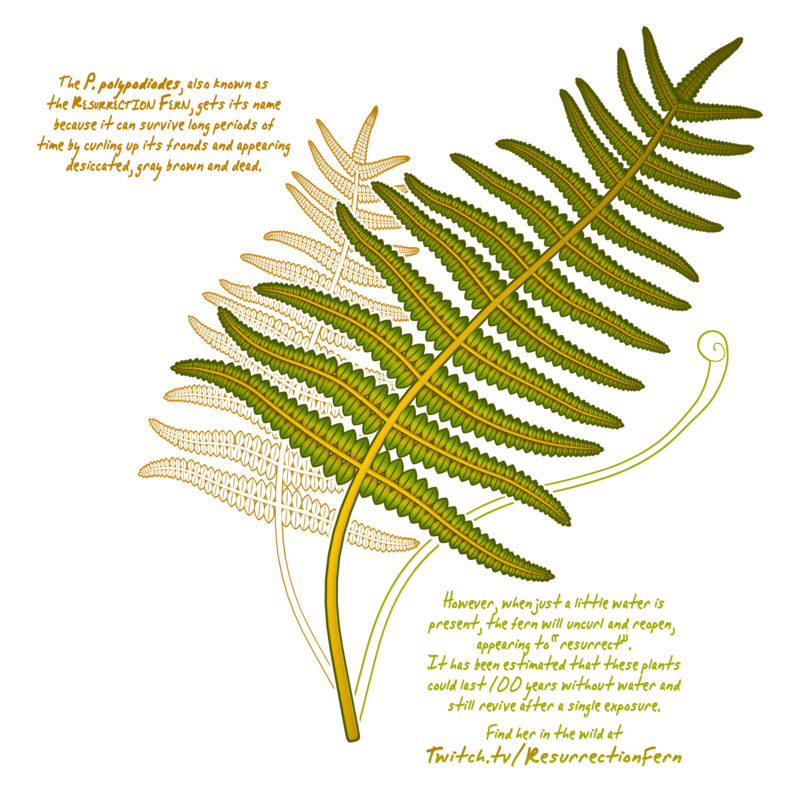 Thank you for visiting the official website of singer-songwriter, Resurrection Fern. Resurrection Fern is part of the new movement of pioneering musicians that have taken their live performances beyond the small reach of bars and cafes and into the laptops, televisions, and mobile phones of fans all over the world. The recent ubiquity of live online streaming platforms like Twitch.tv has made this possible. For the past 3 years Fern’s channel, twitch.tv/resurrectionfern, has been at the forefront of this new wave of online artistic expression. Hundreds of fans tune in multiple times per week to not only watch Fern share her live musical performances, but to be a part of her daily experience as an independent singer-songwriter. The platform offered by twitch.tv allows Fern an intimacy with her audience that is lacking from traditional live performances. Utilizing her channel’s live chat function Fern directly engages with her audience throughout every single performance. Fern fields questions, shares stories, and simply enjoys the company of her community, which Fern has thoughtfully dubbed her “FernFam”. See Fern live on her Twitch channel and experience what it’s like to be a part of this welcoming and positive community. On October 5, Fern released her community-funded, debut album, “Beyond the Trees”. The album is available on all prominent digital platforms, and for physical purchase at cdbaby.com!